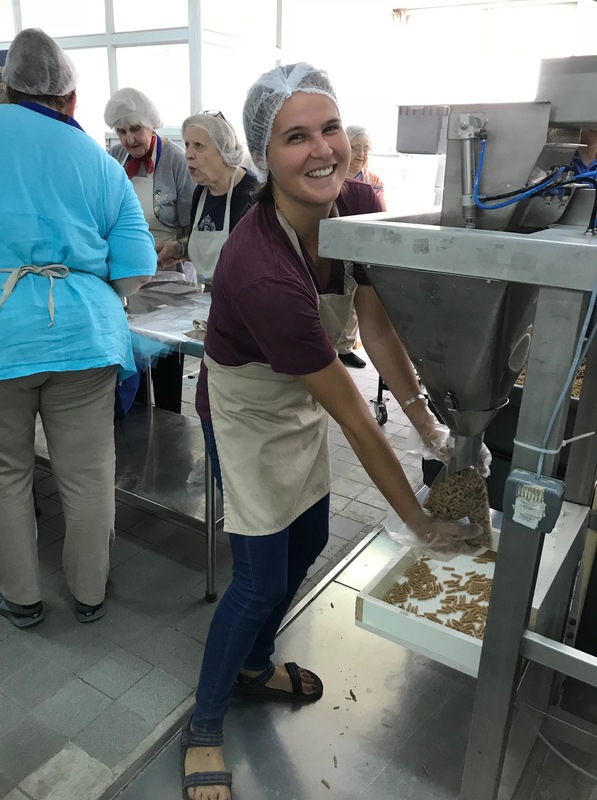 Volunteering at the food security program, Pantry Packers, is a completely fun experience. 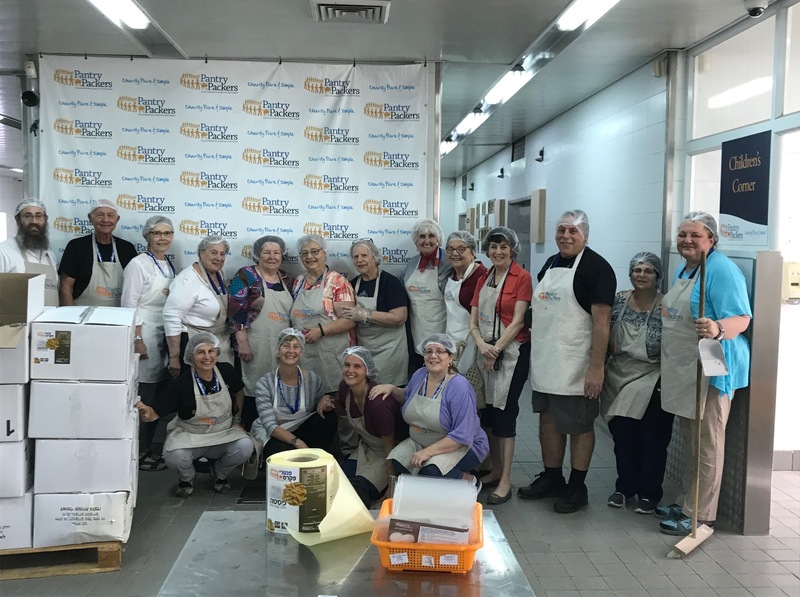 On Tuesday morning, we put on aprons and hairnets and learned assembly line tasks to package food for hungry people all over Israel. Of course, the hour and a half we spent putting pasta into sealed and labeled packages was much more than fun. We thought about what it means to provide food for parents of hungry children, survivors of the Shoah, or people who are mentally ill. 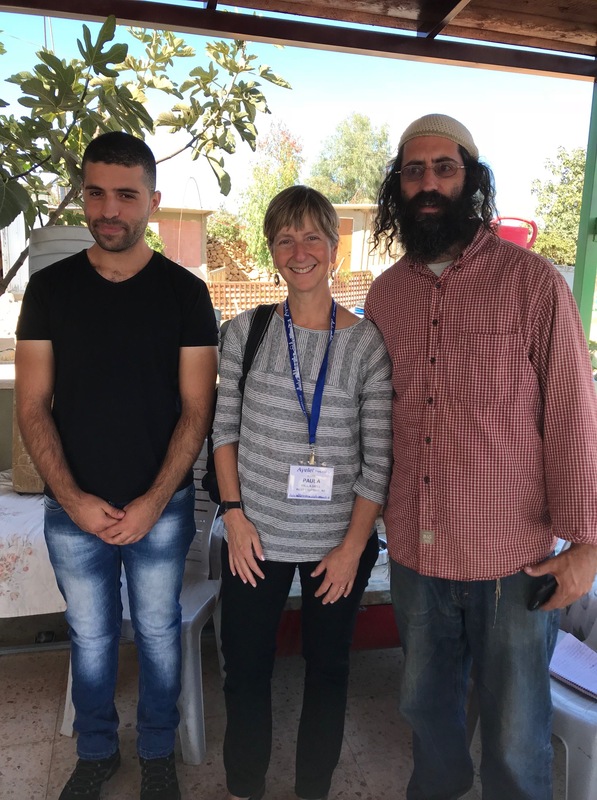 Rabbi Menachem Traxler, Director of Pantry Packers, challenged us: “Do you know what it means to be hungry? Really. Truly. Hungry?” We were proud to begin our day by providing help with dignity. You can help at: https://pantrypackers.org/. 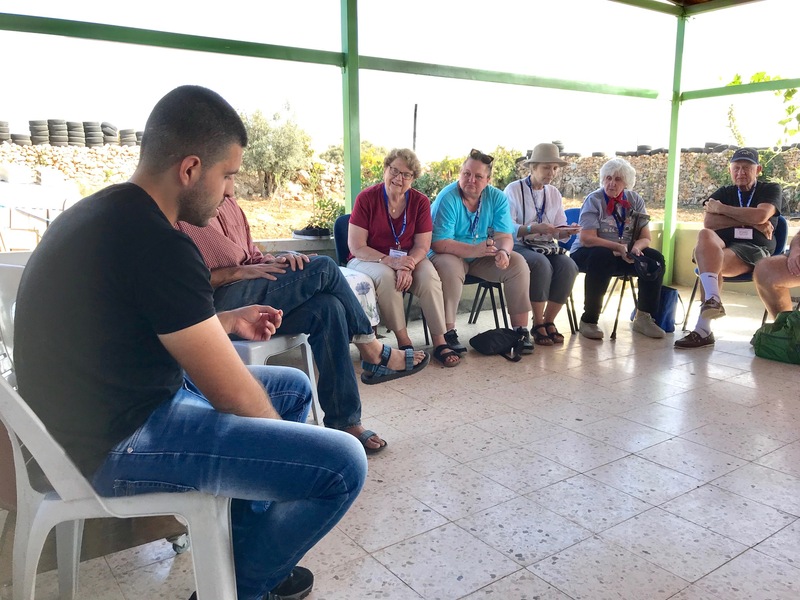 Next we drove to Gush Etzion to hear first-hand about the courageous work of Shorashim (Roots), a program of dialogue, understanding and bridge building between Palestinians and Jewish settlers in the West Bank. 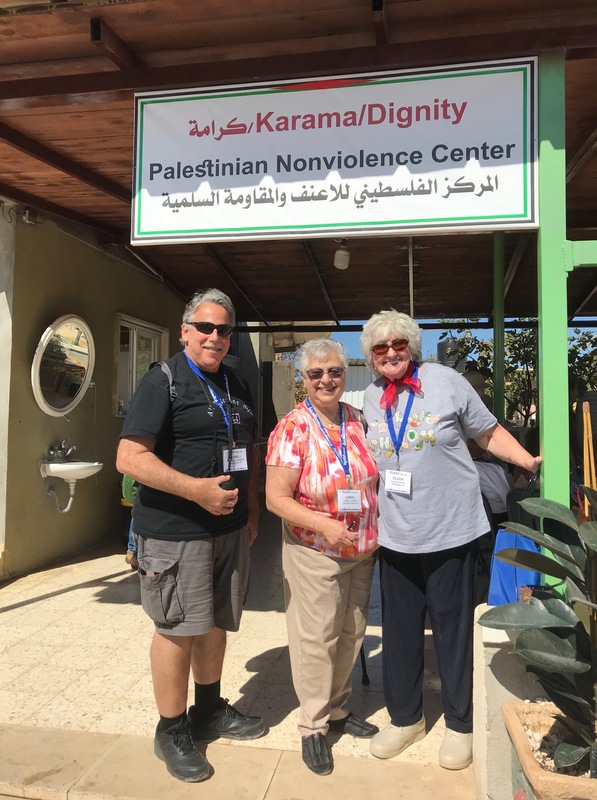 We were enlightened and inspired by our conversation with Shaul Yudelman and a Palestinian partner, Noor. 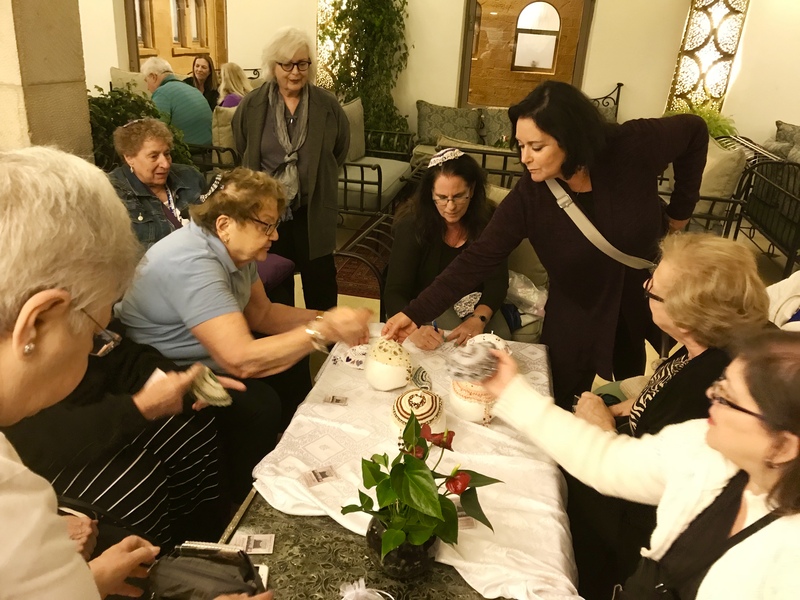 The story we heard was one of “us versus them,” an existential conflict, and a deep sense of fear that is common to both sides. According to Noor and Shaul, participants in Roots have enough courage to meet each other and take responsibility for their stories. As Shaul said, “We must come to see that we belong to the same land. Our day was completed by a return to ancient history with a visit to the Israel Museum. 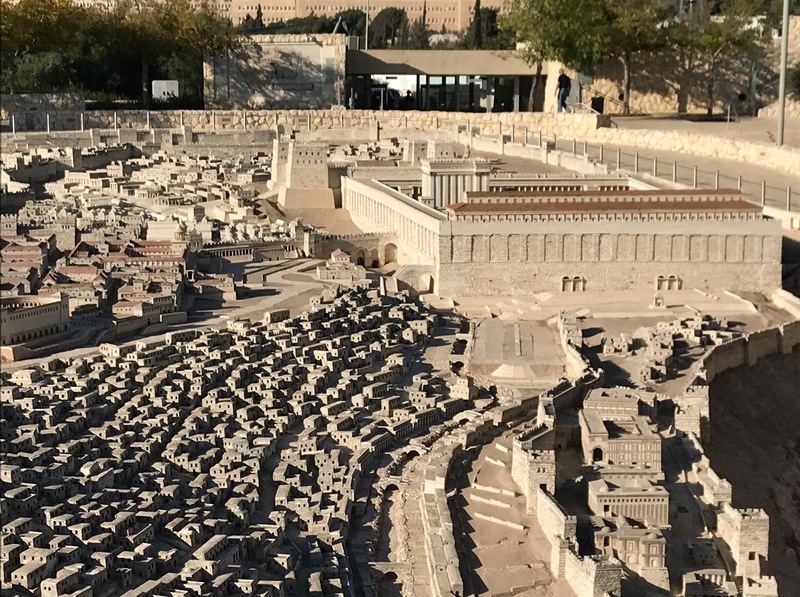 We saw the model of the Old City in the 1st century BCE and the Dead Sea Scrolls. 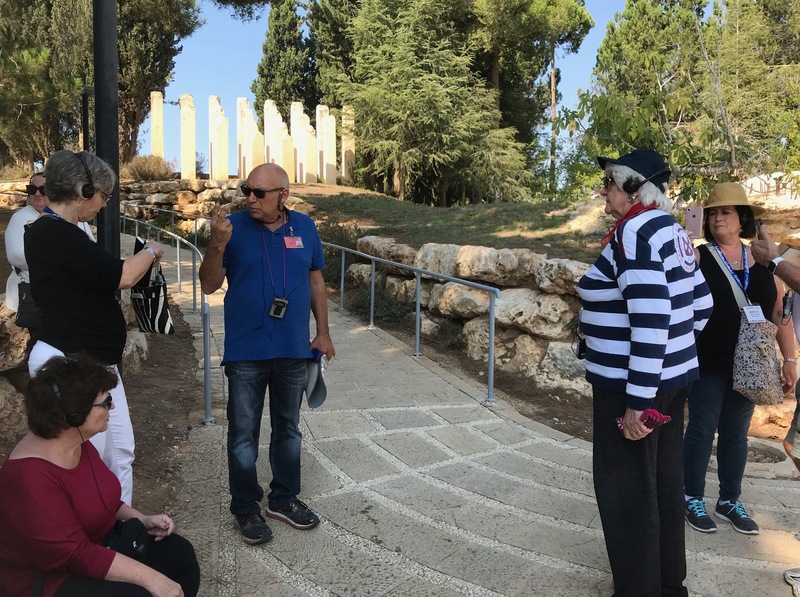 Today, Wednesday, began with a visit to Yad Vashem, a visit I consider to be a moral obligation on every trip to Jerusalem. 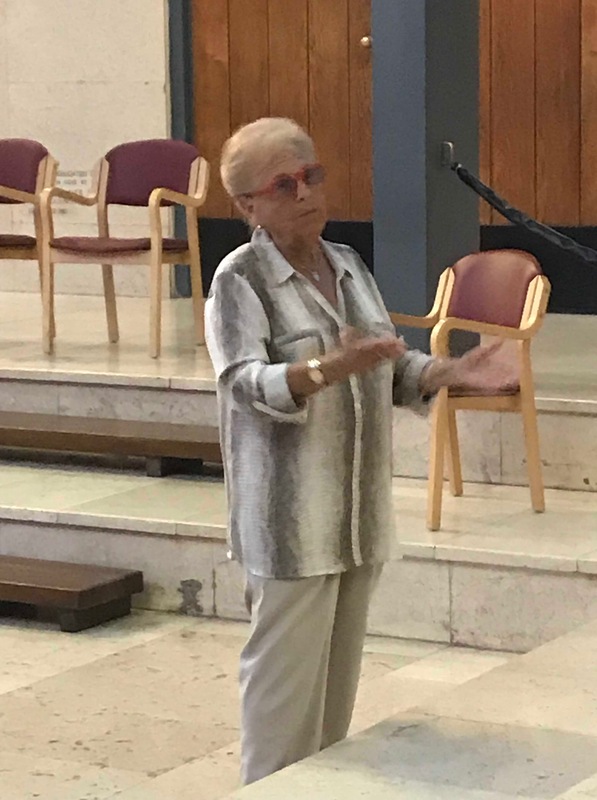 Our final tour experience was an exhilarating visit to Hadassah Hospital where we were honored by Barbara Goldstein, Deputy Executive Director of Hadassah Offices in Israel, who gave us a complete explanation of the Chagall windows in the hospital synagogue. 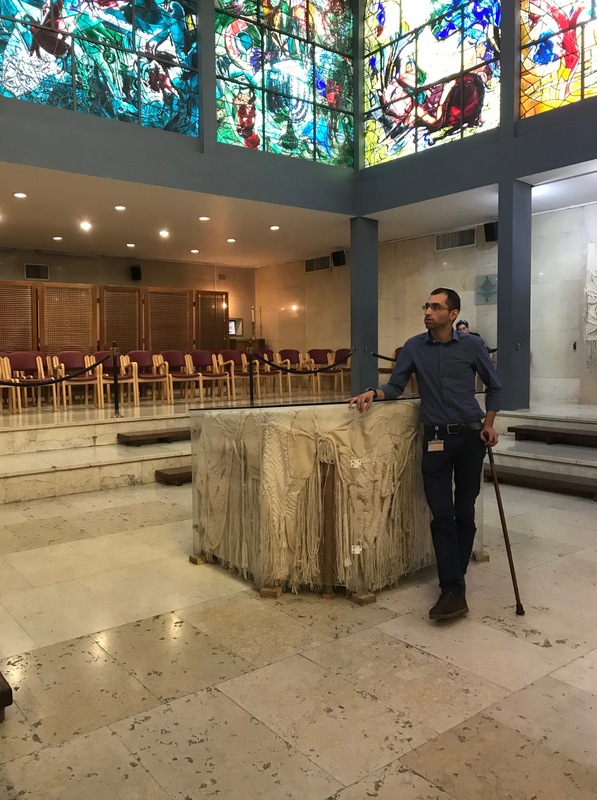 We were inspired to hear from Dvir Musai, a young man who owes his life to Haddassah Hospital. 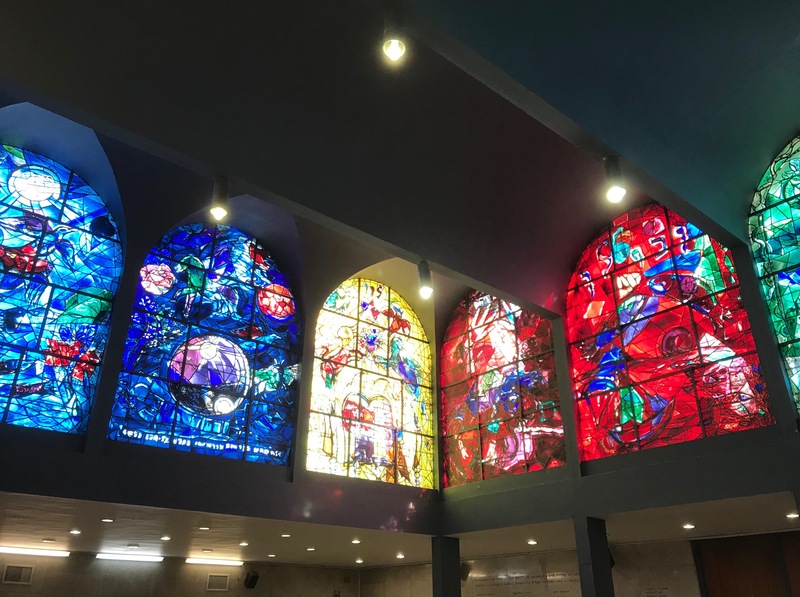 In 2002, doctors at the hospital saved three young boys, one of whom was Dvir, who were the victims of a terrorist bomb while on a school trip. 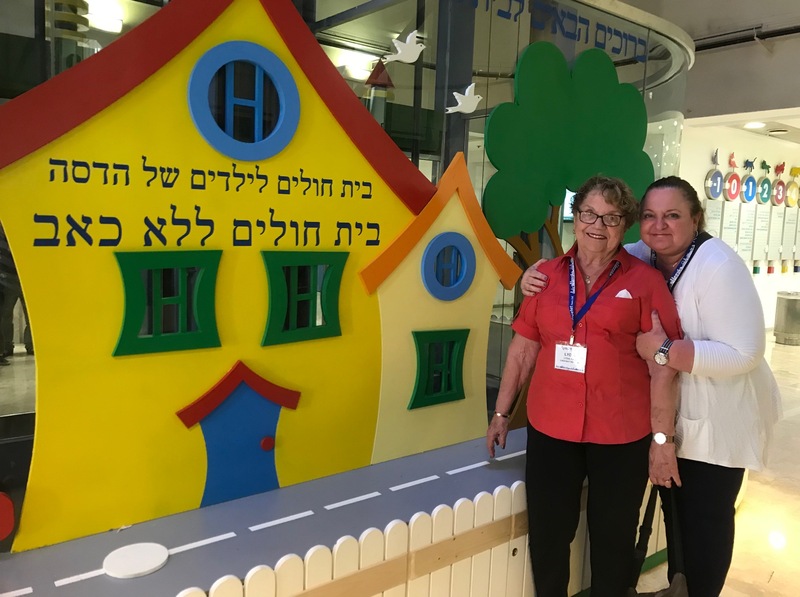 Dvir told us, “I imagine that my surgeon must have thought to himself that a 13 year old boy is too young to lose his legs.” Against all odds, and 30 surgeries later, Dvir is the father of two boys and an employee of Hadassah Hospital. He was given back his life in the trauma unit and given two new lives in the Mother and Child Pavilion. 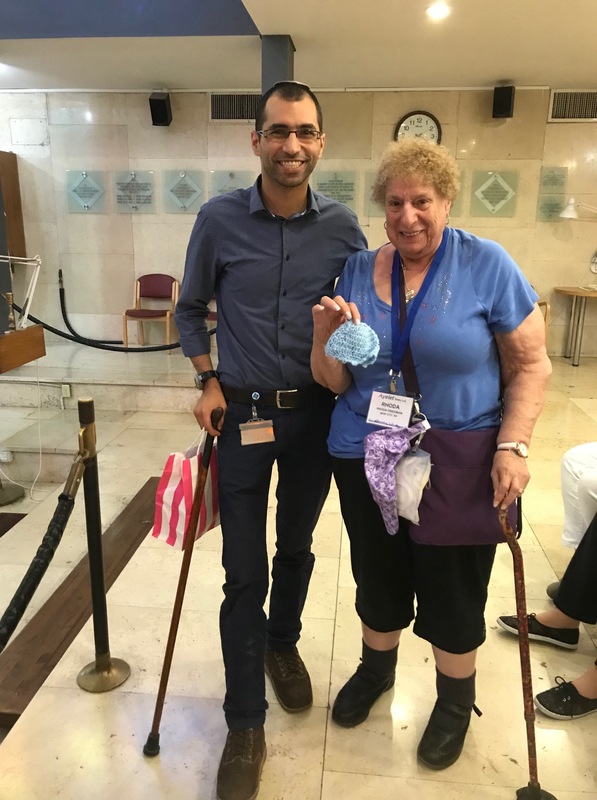 There was not a dry eye when Rhoda Friedman gave to Dvir infant caps she had crocheted for newborns at the hospital. 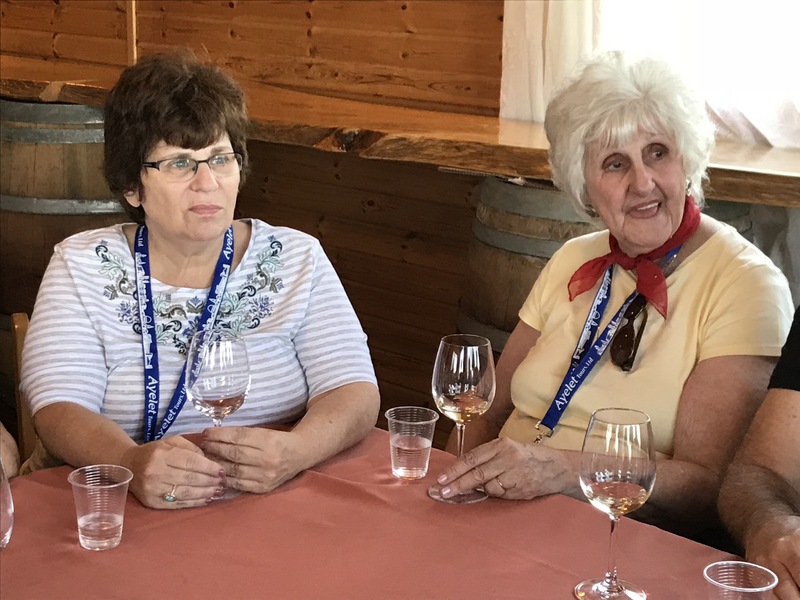 As I write this from Sarah and Sagi’s apartment, most of the travelers are getting ready to board the flight home, filled with memories to last a lifetime. I will be home soon too, after a celebration of the wedding of Sagi‘s brother Roi to Lera and a Shabbat with my kids here in Tel Aviv. 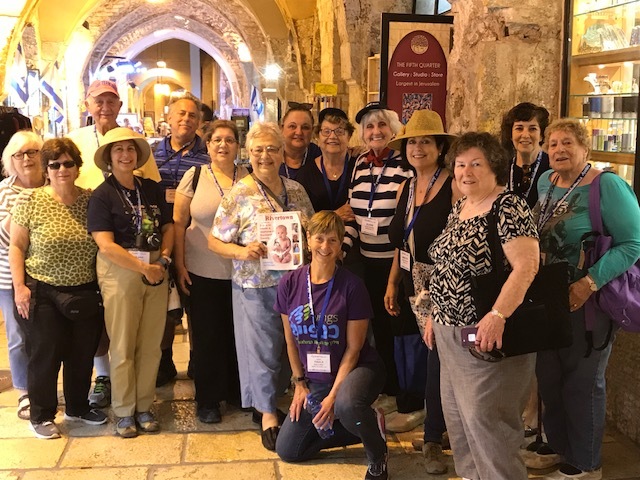 Maybe next time you will be the one to travel to Israel with an OJC trip?! 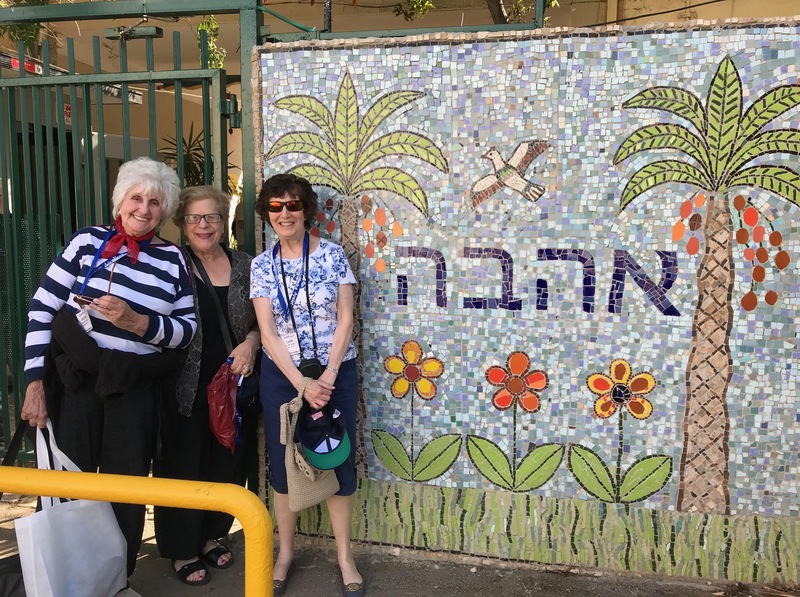 For the OJC Hazak trip, Sunday began in Israel’s City that Never Sleeps, Tel Aviv. We visited two museums not common to most tours, each unique in its own way. 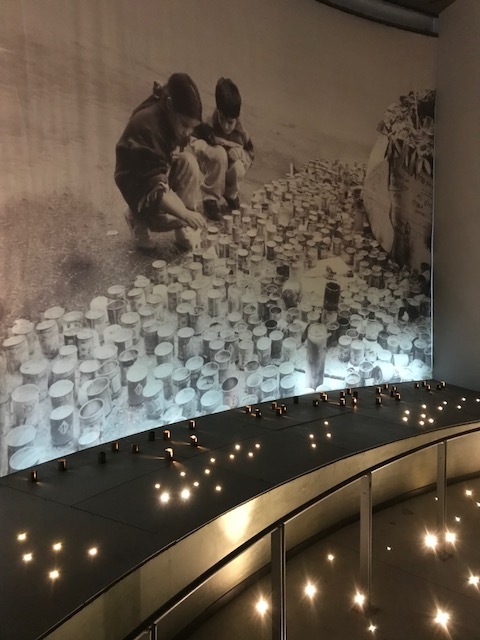 At the newly renovated Beit Hatefusot, Museum of the Jewish People, we appreciated the way that Jews from all over the world are part of one people. I had visited this museum two decades ago and remembered well the exhibit on synagogues from around the world. 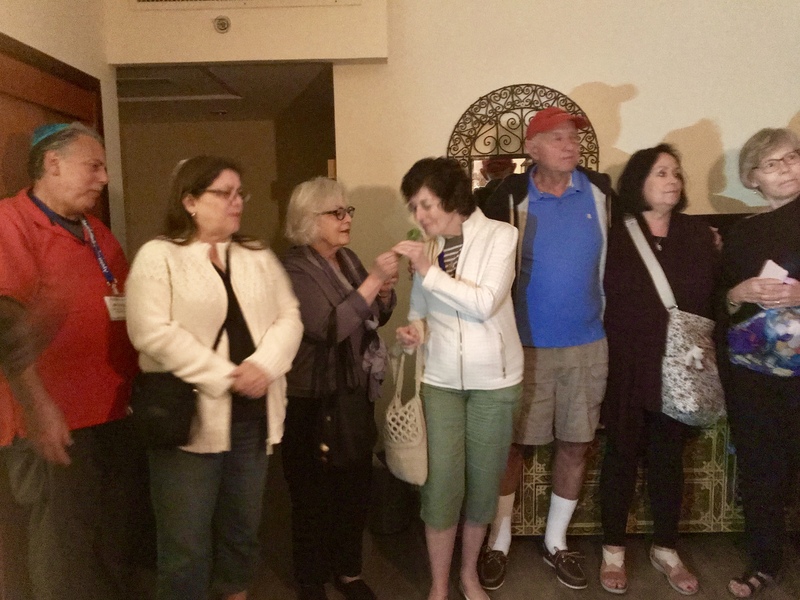 I shared with the group the following Yehuda Amichai poem, which he wrote after the original museum opened on the campus of Tel Aviv University. 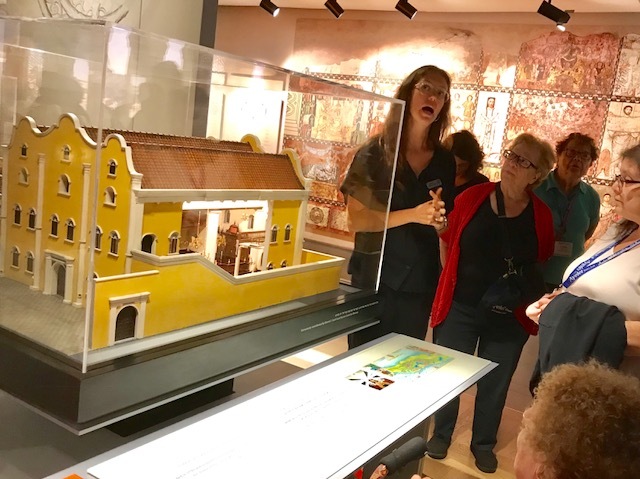 The second museum we visited was the Israel Museum at the Yitzhak Rabin Center. 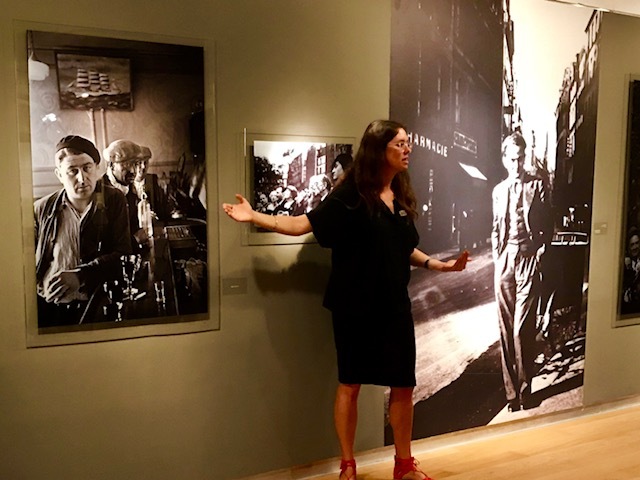 For almost two hours, we were guided through Rabin’s life, both personal and professional, Israel’s history and world history, all wrapped into one amazing, complicated story. 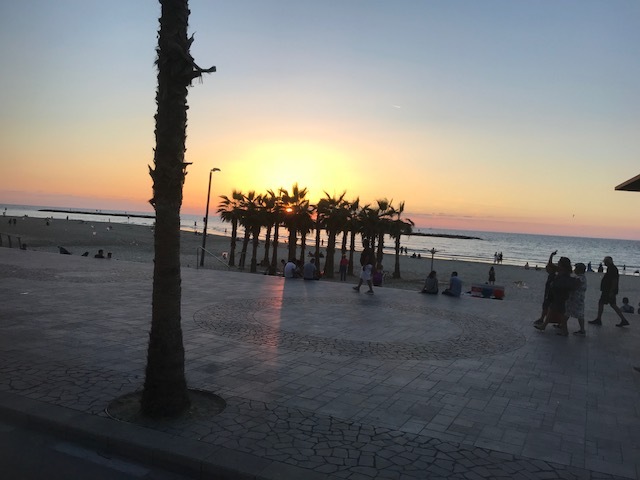 On our drive along the Tel Aviv promenade we were blessed with a breathtaking sunset over the Mediterranean. We ate dinner “in the dark” and watched the play Not by Bread Alone, with actors who are blind and deaf. The lesson of the play is that we should never assume we can know all about a person because of how they present in the world; we all have dreams. 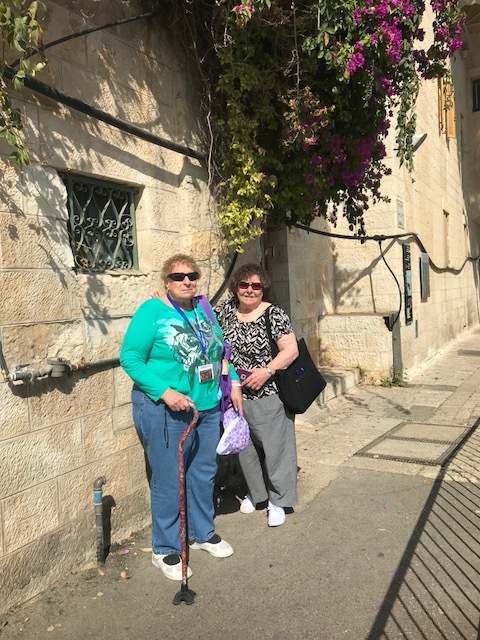 As always, we shopped in the Cardo, the main shopping avenue of ancient Jerusalem, and found gifts, jewelry and tallitot. 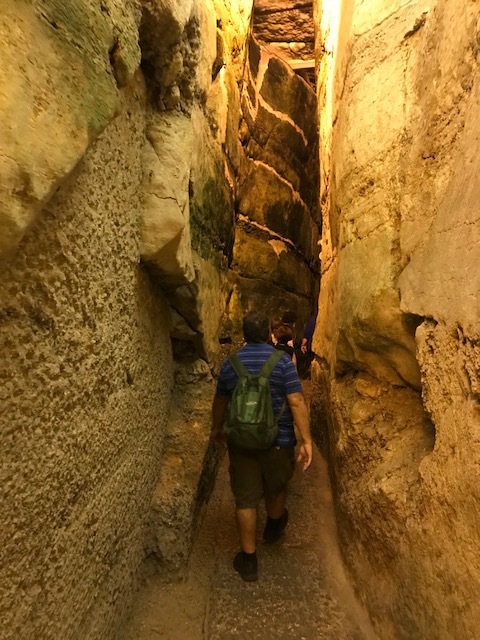 The tour of the Western Wall Tunnels was challenging but enlightening – so much history in Jerusalem, so little time. 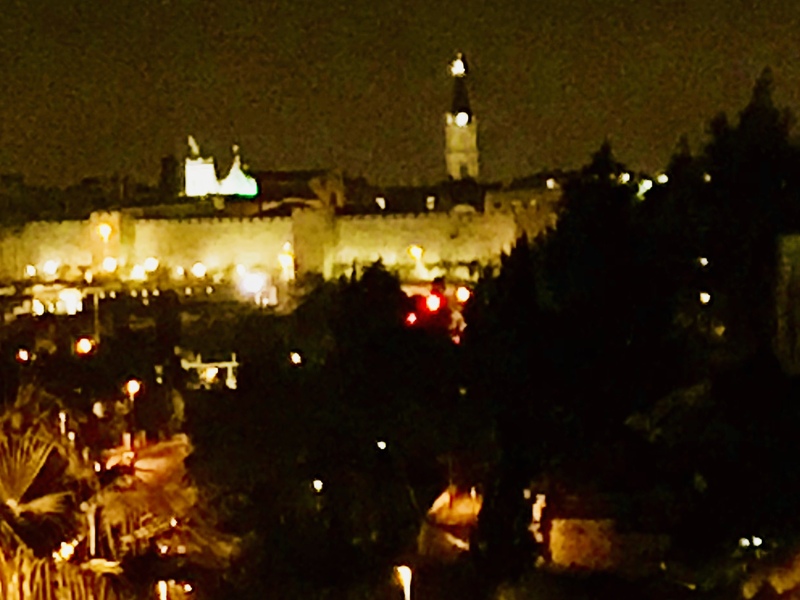 In the evening, we watched the sound and light show at the Tower of David and were able to use today’s Hebrew word of the day most appropriately: magniv (wonderful)! 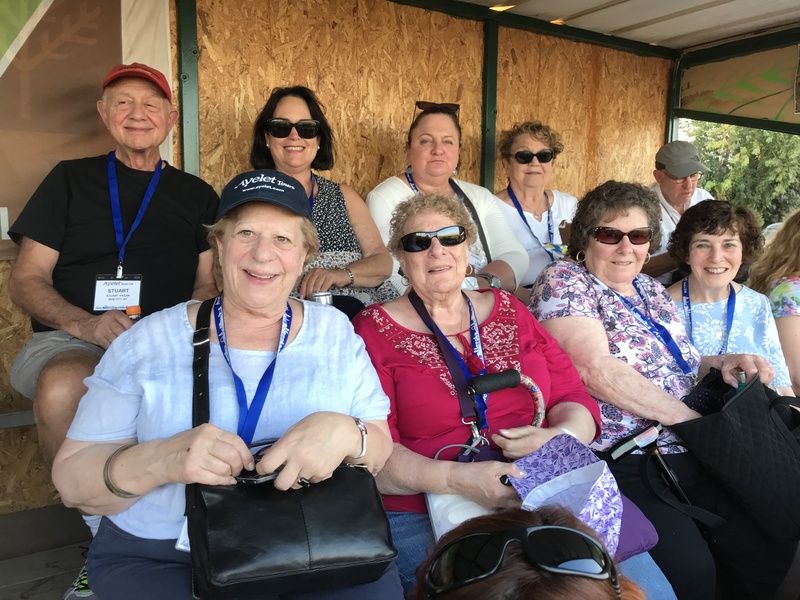 Our current OJC Hazak Israel trip possesses a unique blessing of radical amazement and appreciation because more than half of our group has waited 60, 70 or more years to travel to our homeland for the first time. 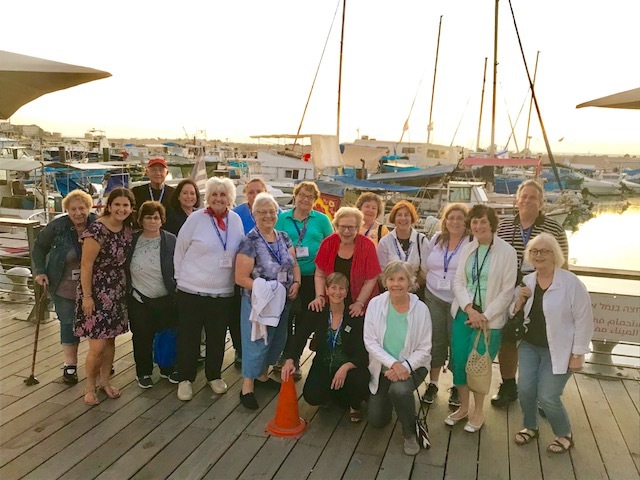 Almost all of the rest of our group has not been in Israel for 20 or 30 years. Each experience of these first three days feels precious. Each moment is over-filled with emotion and joy. 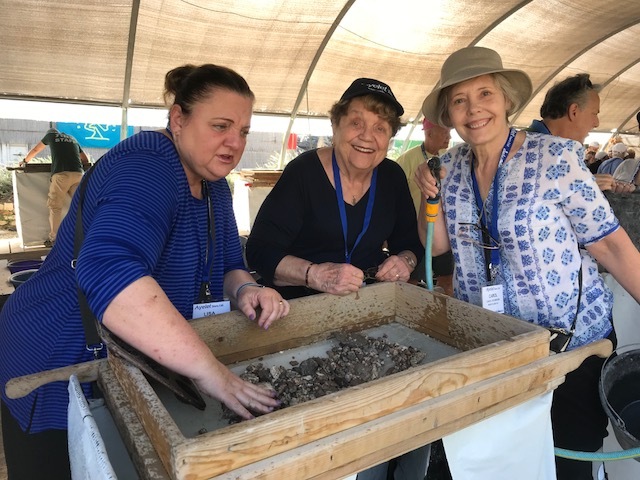 Like the rabbis of medieval Europe who waited a lifetime to fulfill the mitzvah of putting their feet in the holy land, our pilgrims too are filled with gratitude and pride to be here. 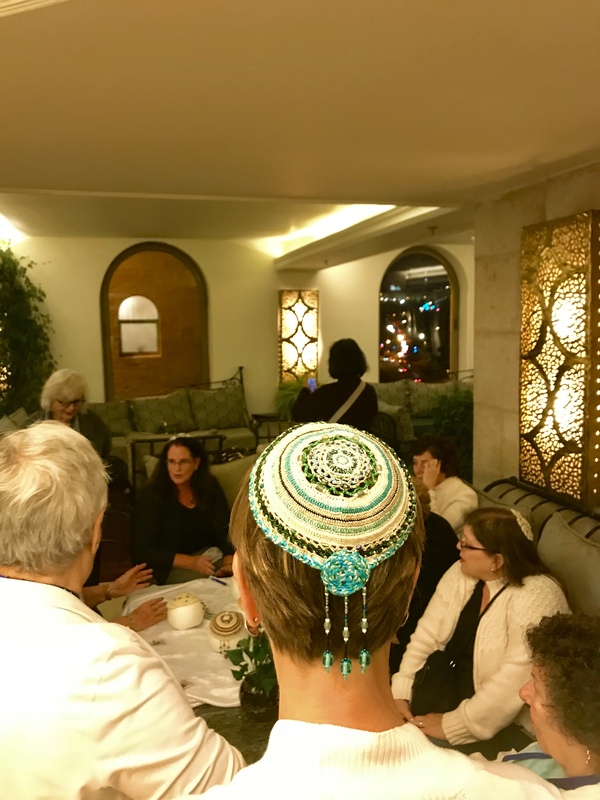 As we approach each experience, we acknowledge its place in Jewish and Israeli history, geography, and spirituality. 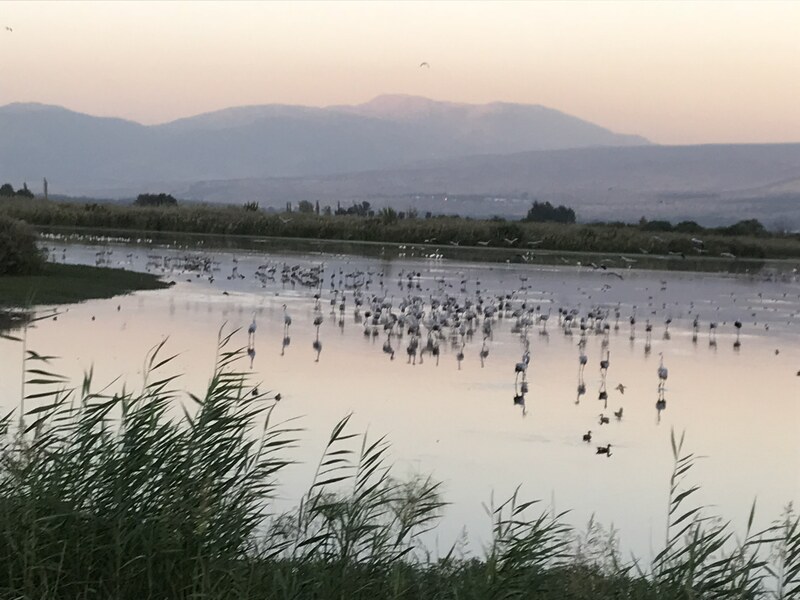 Afterward, we share our thoughts — about the layers of history at Caesarea, an introduction to Kaballah through making candles (“The human soul is the candle of God”) in Tzefat, wine tasting at Dalton Winery, the awesome safari to the middle of the Hula Preserve to watch firsthand the migration of thousands of birds coming to rest for the night in the swamp, and a meaningful visit to the residence for children at risk, Kfar Ahava. Our thoughts are filled with the special element of gratitude. Not one moment is taken for granted. 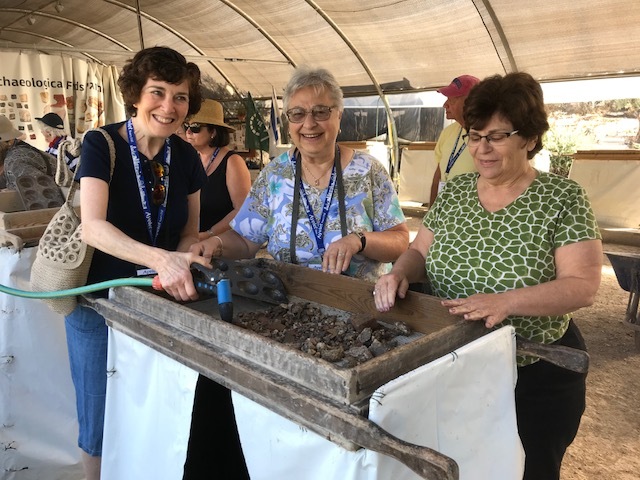 There is present in each experience a great tourist moment, and embedded in that same moment, there is a pilgrim’s experience, emerging from connection to Rabbinic thought, Torah, and the stories we tell ourselves. And full, so very full, and beautiful. … And then we recited a blessing: Praised are you Adonai our God, Ruler of the universe Whose world is like this! (Shekakha Lo b’Olamo). 2. 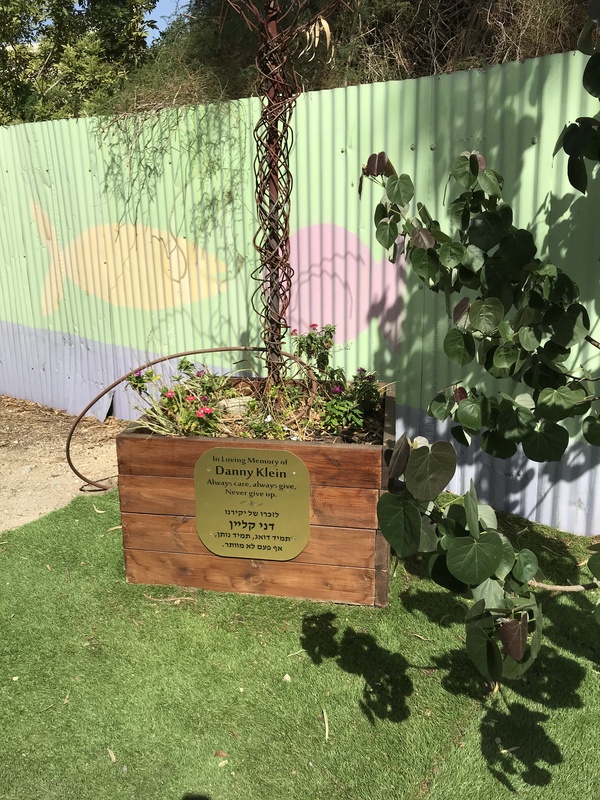 During our walking tour of Kfar Ahava, we turned a corner and suddenly there we were – in the peaceful space created by OJC volunteers to remember Rob Katz z”l and Danny Klein z”l. 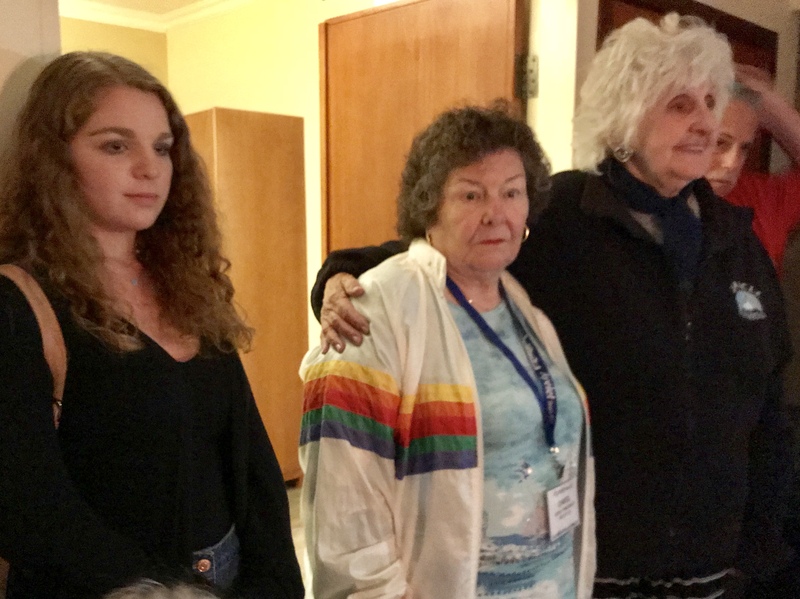 The ability to speak about these two beloved people in the context of a visit to a healing program with powerful ties to OJC was meaningful to all of us. 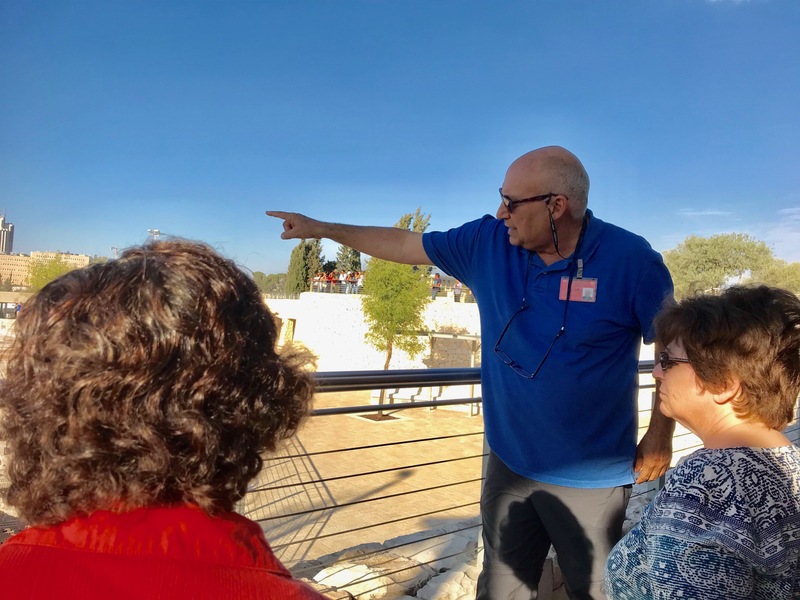 And now – up to Jerusalem! Hevel: vanity, futility, meaninglessness, pointless striving. We may acquire wisdom; we may amass physical comforts and playthings. We may seek pleasure in food and drink; we may build palaces and establish monuments to our accomplishments. It’s all hevel, however, because ultimately everything has its season, and every person has his or her own time. 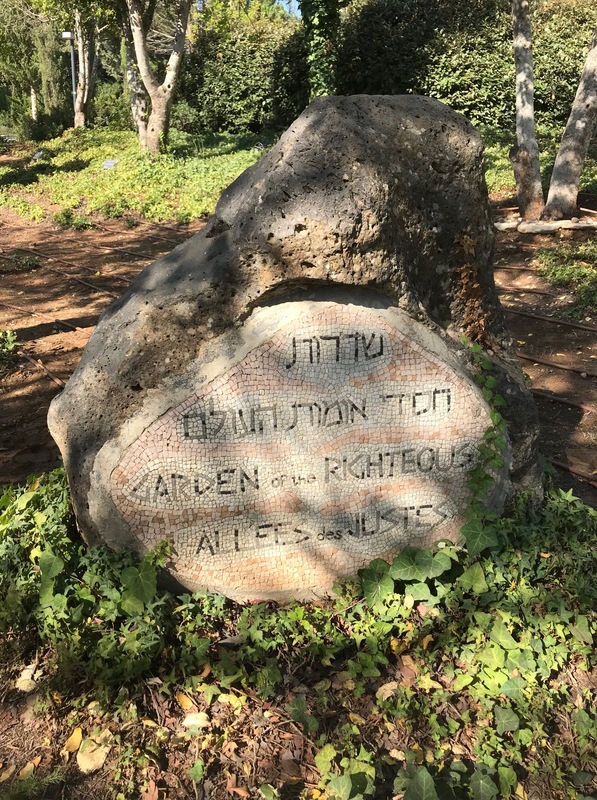 This is the message of the Book of Kohelet (Ecclesiastes), the megillah (scroll) that we read in conjunction with Sukkot, our festival of joy. Huh? Why yuck my yum? How does this sobering message enhance the joy I am commanded to experience on this festival? Well, I guess it all depends on how one defines joy. What if we read Kohelet as a treatise on love? After all, the megillot that we read on our other two major festivals are love stories! 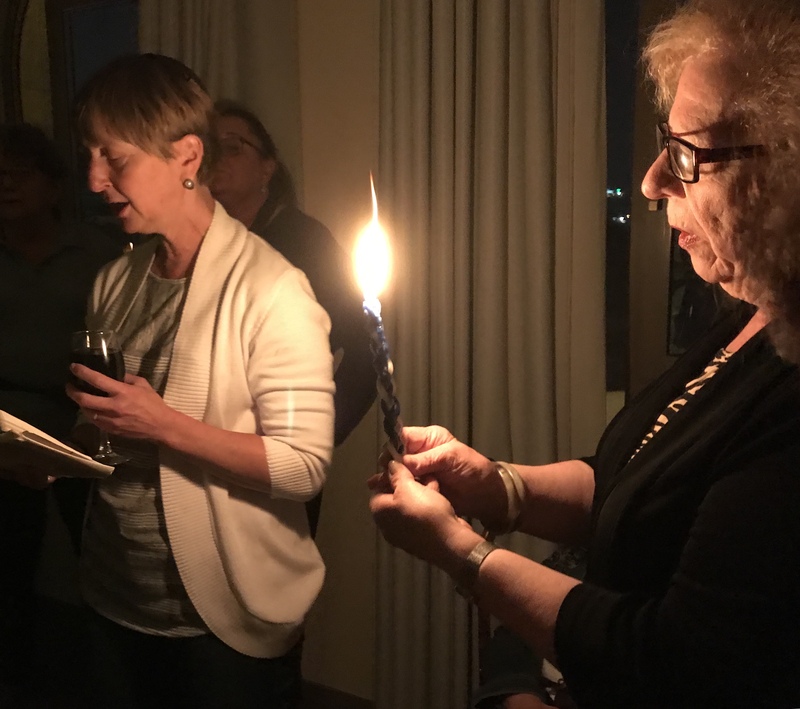 On Passover, the corresponding megillah we read is the Song of Songs, a story about unrequited love. On Shavuot, the corresponding megillah we read is the Book of Ruth, a story about consummated love. Moreover, Passover celebrates God’s courtship of the Jewish People; Shavuot celebrates the wedding of God and the Jewish People. I see this parallel progression from courtship to consummation as intentional. 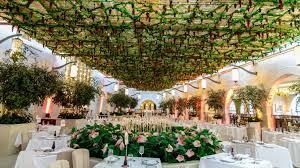 If so, what can we deduce about Sukkot and its relationship to Kohelet? How can we read hevel into the next stage of this relationship, into our attainment of joy? Perhaps Kohelet’s conclusion–that life “under the sun” is meaningless–refers to the temporal, fleeting, finite pieces of ourselves and our relationships. 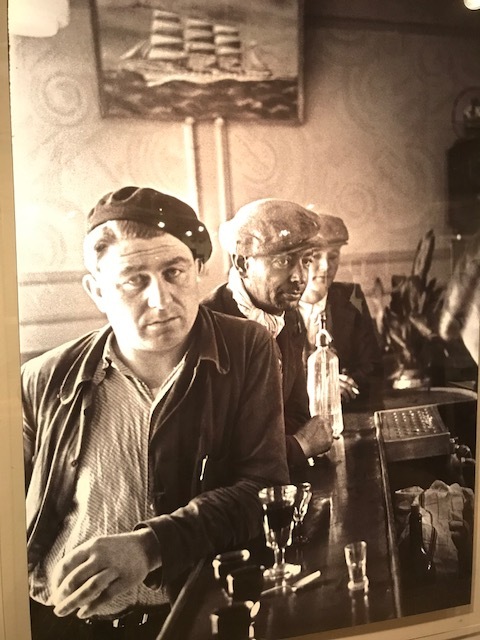 The purest joy, however, is not connected to pleasures of food or wine, acquisitions or edifices. 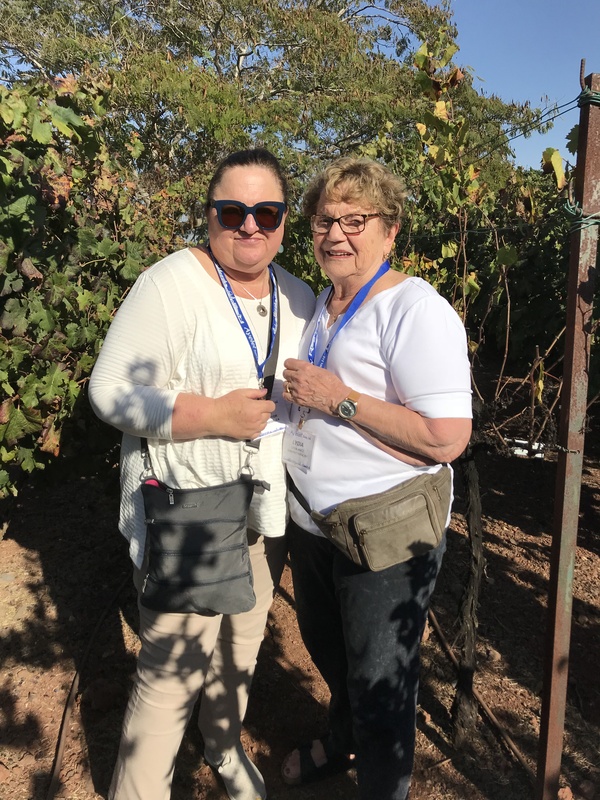 As exemplified by our experience of the sukkah, our greatest joy is found despite—if not in—our vulnerability, our authenticity, our simplicity. On Sukkot, we build a sukkah aware of its fragility, porousness, and temporary nature; we embrace it, love it and live in it anyway. On Sukkot, the corresponding megillah we read is the Book of Ecclesiastes, a story about enduring love. Sukkot celebrates the journey the Jewish People took through a desert, with God as their ultimate shelter. 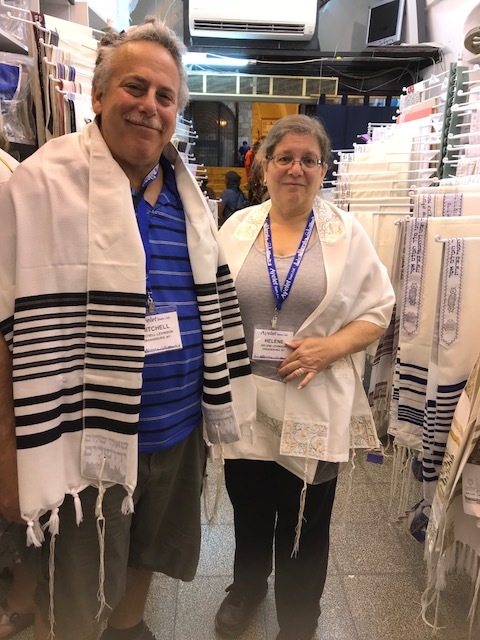 We remember that the love at the heart of God’s relationship with the Jewish People is not sustained by the fireworks of courtship or by the pageantry of a wedding night. It is the love that emanates from a relationship that is resilient, that withstands the highs and the lows, that survives the wilderness wanderings, that thrives without necessarily reaching a promised land. This season of our joy is rooted in a deep, enduring and timeless love that transcends what we build or acquire. It is the kind of joy that brings us peace and tranquility, and provides us the resilience and strength to go on dwelling in the midst of a tumultuous world.